Calling all in-ground vinyl liner peeps! 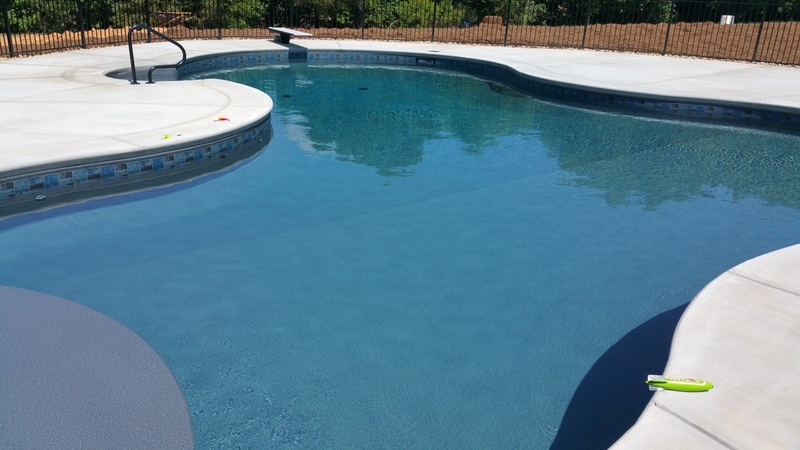 Whether its old or new, if you know the name of your liner pattern, please post a pic of your pool with water in it, with mfg and pattern name. 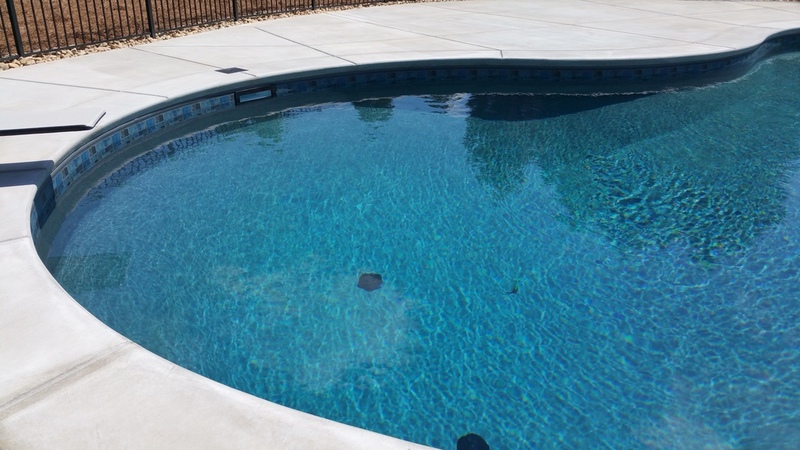 This is a social experiment to see if we can help answer the liner-shopper's most pressing question: "What would this liner look like in the water?" 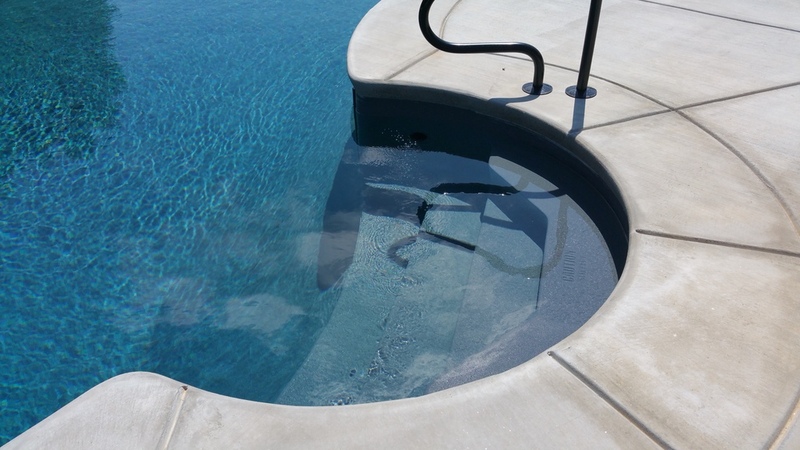 A few of us (myself included) are liner shopping around here and there's a dearth of in pool pics showing the liner patterns in situ. Thanks in advance for all who can post! No idea what the border was, but haven't found it anywhere. Hoping for lots of replies...I'm struggling between a tan/pebble liner it the safer, more traditional dark blue liner (prism). Thanks to all that post!! Another Bonneville Tan Mosaic. If you like the Aquamarine color look, this is your liner. Does anyone ave this one installed? I'm not sure but I think the picture in this thread has the seabrook floor. I was looking for pictures of "royal seabrook" when I stumbled across it. Vinyl Liner Help Needed!! 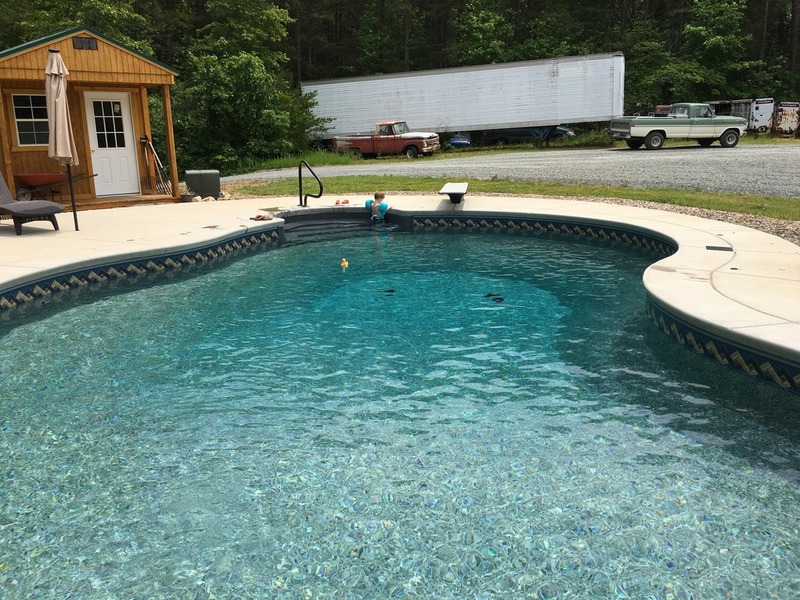 These pictures are great, please keep them coming as I am about to replace the liner and getting good ideas here. Also any suggestions on the thickness (gauge) to get? I would post pics, but something is wrong with my photobucket. I can log in, but it just sits there tring to load...forever. EDIT. I managed to upload a couple. Here are a couple of pics of a scrap that was left over. My liner Brand Name is Vynall, which is owned by Latham. My liner is Medium Blue and is called the Chesapeake. It's a nice liner and i like it. Wow, I am loving this thread! Keep the photos coming. Have to make a decision in a day or two. 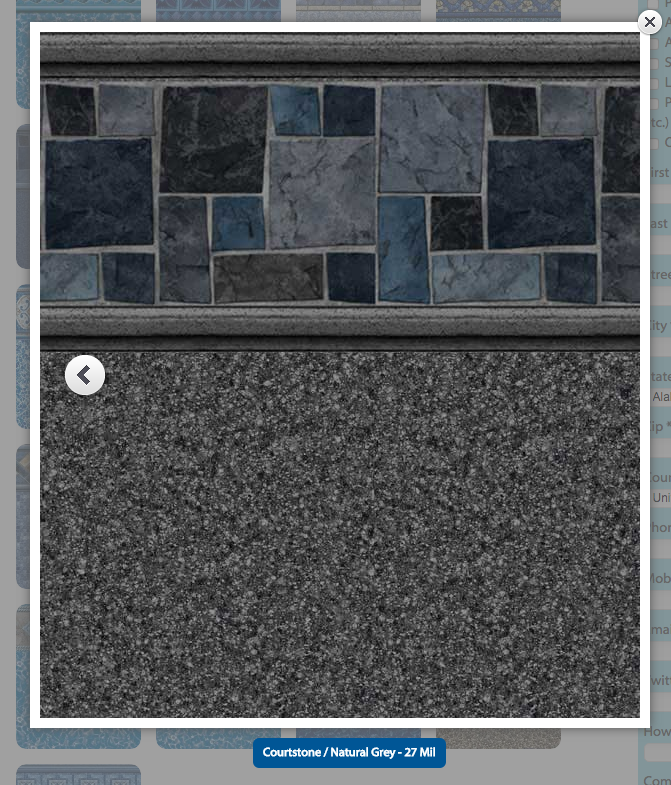 TheBraLady, I really like the photo you posted of Courtstone/Natural Grey from Latham. It looks like a very deep beautiful blue. Do you remember if it looked that pretty in person? Any more pics of it? I'm considering that one....especially after looking at the photo you posted. It's not my favorite border, but love the water color. 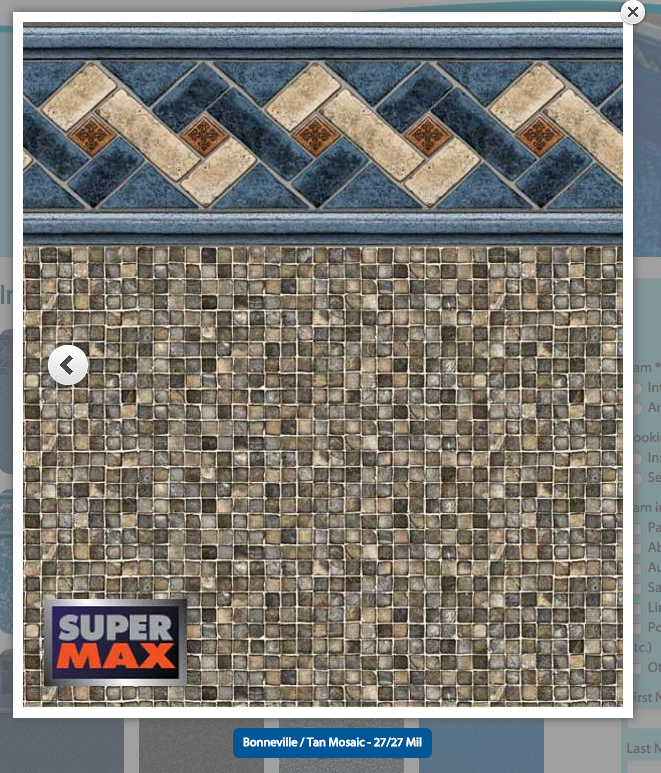 I wish you could pick the border you want with the floor color you want! Oh...and keep the pictures coming. And I promise to post mine as soon as we make the decision and they get it installed. This thread will be invaluable to everyone going through the same thing! It is a VERY hard decision! A better view of tan mosaic. I've been wanting to see this light liner from Imperial Pools called Sparkle...And one I'm very curious about is an iridescent liner by Imperial pool called Prism. It is a dark liner. I've been leaning towards dark liners so any pictures of darker liners would help me out! I can't make up my mind. It was a very pretty color - not aquamarine like the tan liner - it was darker. And I'm pretty sure this particular liner you could ask that the border be taken off and just have it made in the solid "granite gray". That's n amazing aqua color you get with gray! I am loving the gray! Thanks for sharing! What a great thread! Most definitely, bump. LOL Post your liner photos everyone. Some of us need to make a decision soon. 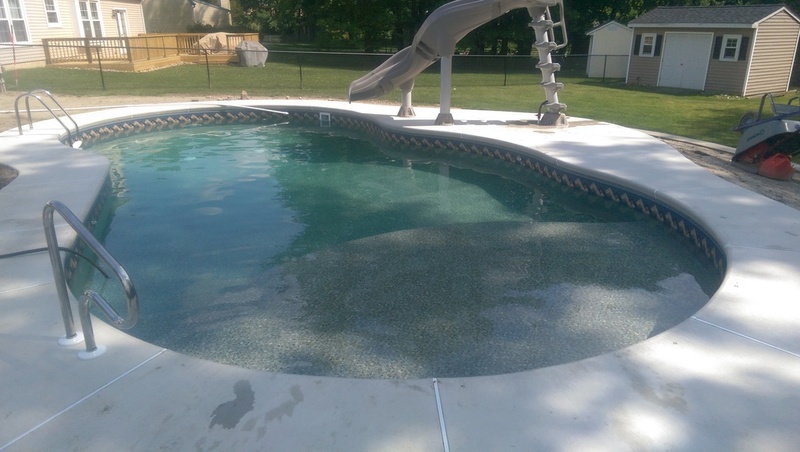 Best brand and thickness of vinyl pool liner for in-ground rectangular pool? 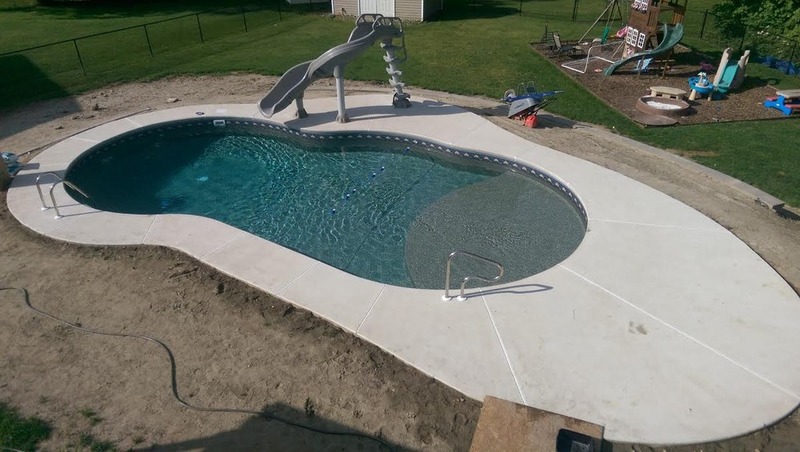 Recommended brands/specs for vinyl liner replacement in-ground pool?